On October 11th, two of the NMI’s leading ladies participated in UGA’s very first International Day of the Girl event, hosted by the UGA Chapter of The Letter Project. NMI Social Media Director, Rachael Dier, curated this fantastic event that brought together women from Athens and beyond. 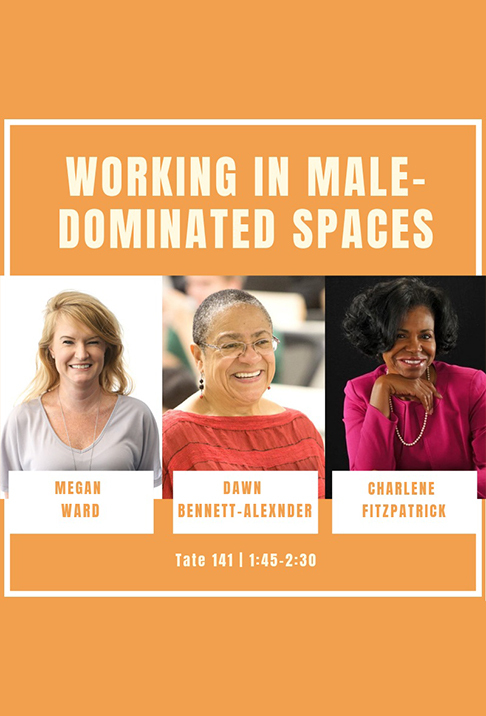 Megan Ward spoke on the “Women in Male Dominated Spaces” panel, sharing insight into her work at the NMI and her experience as a female leader in a tech-driven domain. Along with Dr. Dawn Bennett-Alexander and Charlene Fitzpatrick, the panelists discussed working in male-dominated fields and shared advice and inspiration. We’re so proud of both Rachael and Megan for being such strong female exemplars who represent the NMI so well.